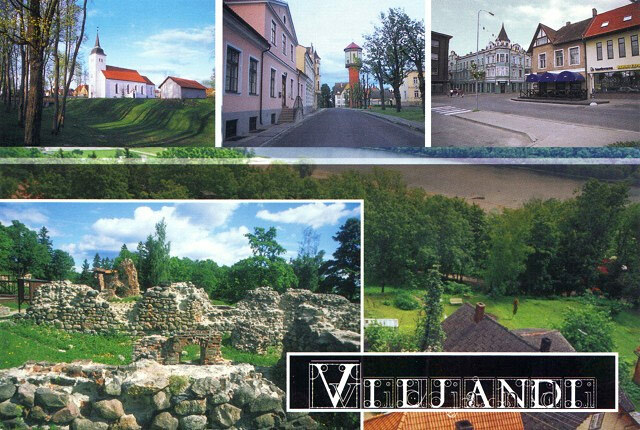 The County of Viljandi (area 3589 sq km, population ca 62,000) is situated in South Estonia, to the west of Lake Võrtsjarve. The settlement is centered in the Sakala Upland in the Central and Eastern part of the County. In the Northwest there is a big wetland of international importance - the National Park of Soomaa (370 sq km), which comprises of the Bogs of Kuresoo, Valgeraba, Oordi and Kikepera and the rivers running between them. Low-lying meadows on the river banks are rich in different species and rare forests in the river valleys are the habitat of many protected birds; spring floods are common here. 1. Soomaa National Park was founded in 1993 to protect untouched bogs, wetlands with varied species, meadows covered with scattered trees and forests. The varied nature of Soomaa, its peculiar culture of suspension bridges, one-log-boats and fifth (flood) season has made this place popular. The Soomaa Visitor Center in Kõrtsi-Toramaa provides information about the nature trails, picnic places, observation towers, camping huts, etc. The most popular of these are Ruunaraipe Dunes, Kopra Track, Riisa Bog Track, Mulgi meadow, Oksa complex, Latvian Observation Tower, Meiekose Study Track and camping place, Ingatsi Track and Observation Tower, suspension bridges, bear post. 2. The ring cross in the interior wall of the Suure-Jaani Church (built in the 14th century) is the so-called Cross of Anne, which was dedicated, by the peasants, to a woman who washed and dressed the people who died of the Plague during the Livonian War. The Graveyard of Suure-Jaani and the Monument of Lembitu are also worth seeing. 3. 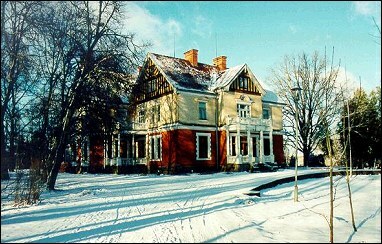 The main building of the Olustvere Manor was built following the Jugenstil in the 16th century. The governor's house opposite the main building harmonises well in style with the main building. Of other buildings, the courtyard with the red brick dairy and gates, the distillery and the barn, are noteworthy. A peculiar feature is the well with metal awning and a crank. The complex is surrounded by an English-style Park, which is bounded by a high stonewall, and avenues of old trees. In the main building of the Manor, where the Olustvere Service and Country Economy School is located, there is a Museum, where a collection of stuffed animals is on display. One of the oldest bogs in Estonia - Parika Bog - is situated in the Parish of Olustvere, which is considered to be approximately 9000 years old. 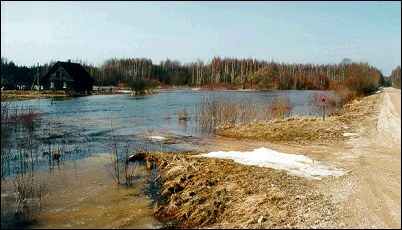 Many rare water plants grow in Lake Parika. 4. 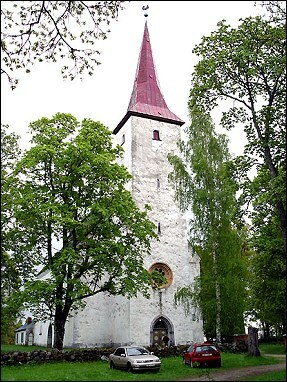 Kolga-Jaani Ristija Johannese Church was already erected in the 14th century; the tower was added in 1875. The stone crucifix of 1380, the chandelier from the 18th century, paintings and an old graveyard have been preserved. On the East window there is a vitrage instead of the altar wall. The paintings of the themes from the Old Testament are unique. 5. 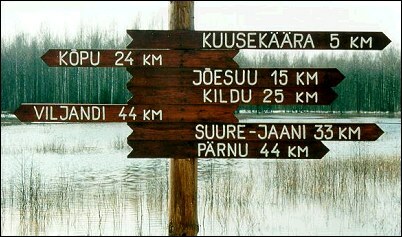 The only juniper thicket of Viljandimaa - the Tilli Juniper Thicket - is located on the Northern shore of Lake Pirmastu. The height of the Juniper Thicket is 2-5m, some junipers even grow up to 6.5m. 6. 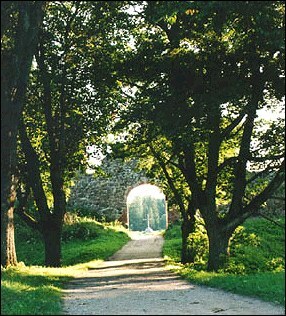 Karksi Citadel or Lossimägi (Castle Hill) is considered to be a stronghold site of the ancient Estonians. The lakes of this region offer delightful scenery and fishing and swimming possibilities. The biggest and most beautiful of the lakes is Lake Linnaveski. 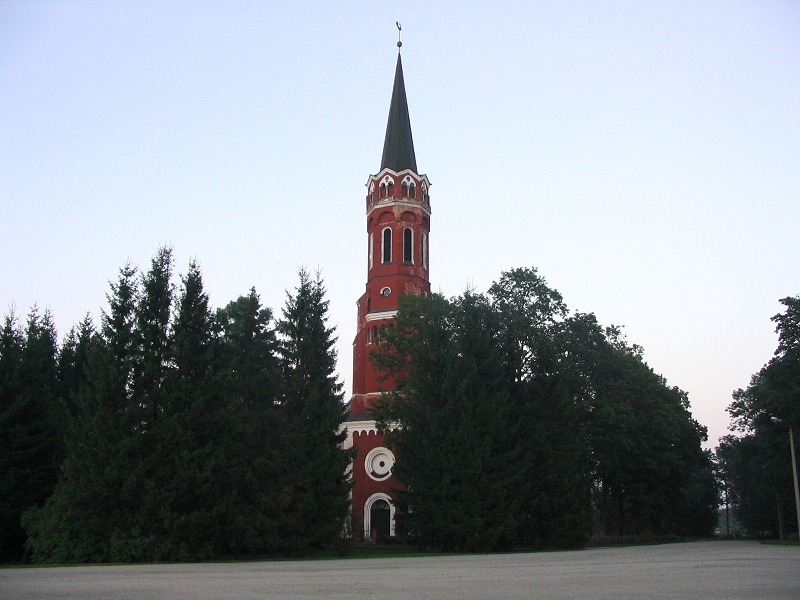 The Karksi Peetri Church and the Baroque-style Chapel, deriving from the 17th century and situated on the site of the former graveyard of the Teutonic Knights, provide historical interest. The Chapel is the oldest building artifact in the surrounding area. 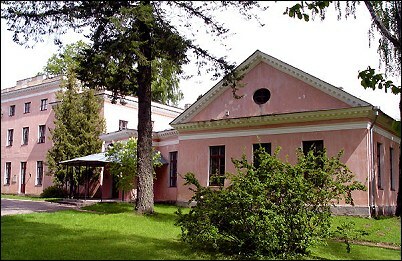 The heart of the Karksi Manor is some kilometers away from the Stronghold; part of a park with ponds and some outbuildings have been preserved. 7. 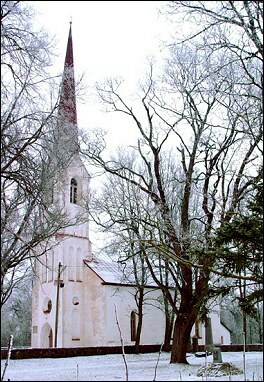 Halliste Church was restored on the initiative and by the local people. The original building was probably built in the second half of the 15th century. Halliste Church is one of the most beautiful and interesting churches, it has an uncharacteristic black ceiling; the altar of the Church is decorated with a painting of an artist Juri Arrak. 8. 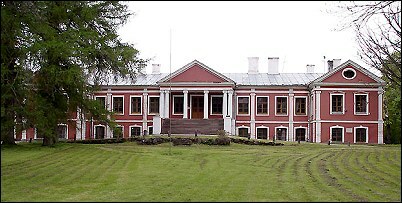 The main building of the Õisu Manor is an Early-Classicist building, which was built at the turn of the 18th and 19th centuries. The wide and high parade staircase with sculptures of white marble makes the mansion impressive; one of the sculptures is a Protege of Home, the other one symbolizes Power. 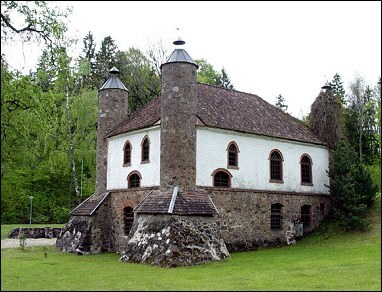 Many outbuildings belong to the Manor Ensemble, of which one of the most interesting one is the so-called "wry stable". There is an English-style park behind the main building. 9. Loodi Nature Park (area of 3,462 ha) is situated in the centre of the Upland of Sakala. Many red sandstone outcrops of the Aruküla Layer dating from the Central Devonian period are found in the ancient steep sided Paistu Valley; there are 17 altogether, of which the biggest is an outcrop 23m high and 15m wide and from the cave of which a spring issues; the place is known among people under the name of "Loodi põrgu" ("Loodi Hell"). The flora is varied; here you can find many kinds of ferns and about 80 kinds of mosses, among them species very rare in Estonia. Next to the Ancient Valley of Paistu are oak forests and the Tollamäe Oak (height 25m and circumference 6.46m). 10. 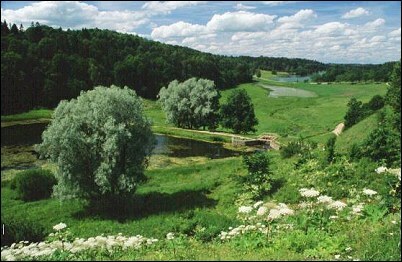 The beautiful park, forest, spring, lake and the town hill form the Sinialliku Protection Zone, situated in the Parish of Parsti. Through the crystal-clear spring water of Sinialliku it is possible to see the blue grayish clay bottom of the Spring. The Spring is also known as a sacrifice spring. Even today coins are thrown into the Spring as wishes are made. The wishes are supposed to come true. The water of the Sinialliku Spring cures those who believe in its curative effect, and punish the vicious. 11. In the Heimtali Countryside Museum, located in an old village schoolhouse, you can see examples of national handicraft collected on the initiative of the textile artist Anu Raud; you can also see old farmhouse utensils and get an idea of the furnishing of a classroom of 100 years ago. 12. The Heimtali Distillery, built in 1832, was originally the dairy and cheese cottage of the Heimtali Manor, it has an interesting architectural style and is situated in a picturesque place. The building was restored in 1984. 13. 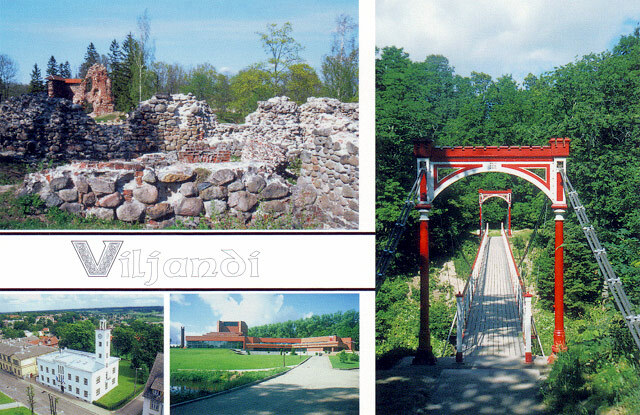 The Park of Viljandi Castle with the ruins of the stronghold is situated in the Northern part of the ancient Valley of Viljandi. The erection of a stone stronghold on the site of former citadel of Estonians started in 1224. The Stronghold got its final appearance and size at the beginning of the 16th century and was one of the outstanding strongholds of the regions of Estonia and Latvia. Due to the wars between Sweden, Poland and Russia only some stonewalls of the mighty stronghold have been preserved today. To get to the Lossimäed (the Castle Hills) in 1931 a suspension bridge that was originally located in Tarvastu was placed over a 13-meter deep ditch. A beautiful view opens from the ruins to Lake Viljandi. 14. The exposition of the Viljandi Museum introduces the history of the town and county. The Museum is located in a apothecary building, dating from 1780.